The hills are full of adventure, so it's not all about the downhill bike in Pila. Even though that maybe what it's famous for the hills hide some outstanding single track and epic ridge lines so don't be afraid to bring the enduro bike! The town of Pila itself is actually a purpose built ski resort, with a handful of apartments and hotels. There's not really much to speak of there, but we're only there for the pizza and the riding! Pila's mountain biking can be split into 4 sections. The first and most obvious is the bike park, or bike stadium. To access this you've travelled up the first long cable car (telecabina Pila - Aosta), climbing up to an altitude of 1774m with amazing views back across the valley and of the 'Rientro' trail (more of that later) beneath you. Classic Pila DH, flat out! 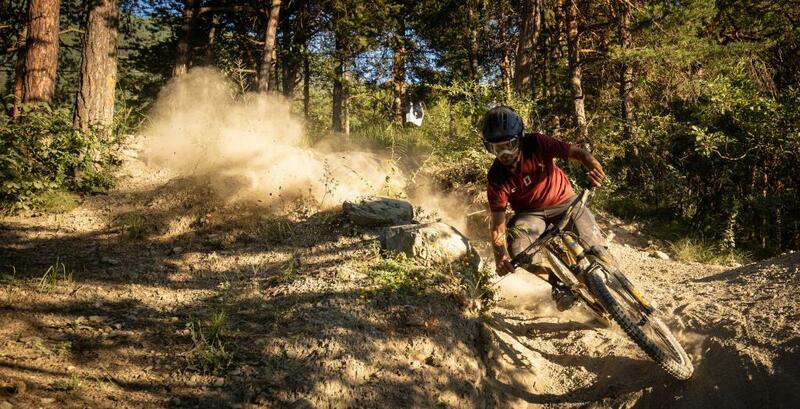 This is the hub of Pila's mountain bike park and what it is known for. This is where you'll find the flat turns, the jumps, the roost and the dust you see in every edit from the resort! The Classic World Cup is the track you tend to see the most on YouTube, it runs straight through the guts of Pila Bike Park, crisscrossing the ski piste with big hips into and out of the woods. Definitely one of the fastest trails here and best ridden on a big downhill bike! The old IXS track is probably the most challenging here, with a steep high consequence rock garden right from start, technical and flat out. The trails still retain their natural feeling, it's a bike park, it's machine built, but the trails have been constructed with a light touch, making for a tough but rewarding and fun experience. Day Trips to Pila are a must do! To the riders right of the Chamole Express from the top, there is the largest concentration of trails, reds and blacks with 1 blue. They snake the ridge line with some incredible berms and transfer jumps, before dropping into the bike park bowl with steep chutes and technical root sections. To the riders left there is a blue that is the best to get warmed up on, fast and easy with little to challenge you, other than the sheer pace of the trail. You can find the trail map and info on lift ticket prices here. No day in Pila would be complete with the run down to the valley floor. Without doubt one of the best obligatory trails to end a days riding. Called Rientro, it's a greatest hits of everything you could love about riding a mountain bike down a hill. Fast, loose, rocky, rooty, flowy, technical and above all, long! It begins just below the mid station and almost immediately drops into the trees, and stays there for a good few kilometers. Rientro has several options all the way down, black or red, some named and some just left as an alternate. 'Sam Hill' for instance is a very steep section of the trail, labelled black, with natural and man made catches the only thing to aim for while you navigate the exposed roots. The alternate for this section is a flat out section of trail with natural transfers from one drop to another, with a huge drifty left hander at the bottom. The idea here is that you'll want to ride this more than once! There are the infamous turns toward the bottom, 10 in a row, left to right which you can challenge anyone to make it through fast and clean first time, they get tight! Little known is Pila's incredible singletrack and back country. The easiest to find is actually marked and accessible by lift. It's only open for a part of the summer, from the Couis 1 chairlift. Found on the far riders left from the top of the Chamole chair, it's a long old lift with plenty of sight seeing to do in between naps (the chair takes around half an hour it runs so slow). From here you can push up to a truly epic ridge line or take the descent back into Pila, through the Desarpa zone. The ridgeline meets up with the same trail in the zone, with alternate entrances. Both are incredible, memorable and absolutely need a fully charged GoPro! Did you know Pila had epic singletrack like this? Pila has some mind blowing views and landscapes mere metre's from the bike park. 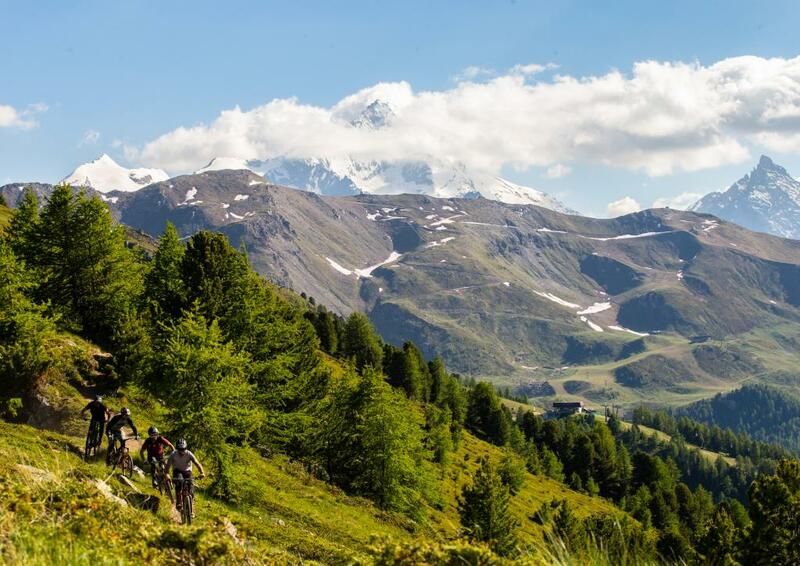 A short pedal and hike a bike will take you to some bench mark Aosta Valley landscapes. You wouldn't even know that one of Europes best downhill orientated bike park is just over the tree line below you. As you disembark the Chamole chairlift all you'd need to do is keep going up, looking toward the left hand ridgeline. 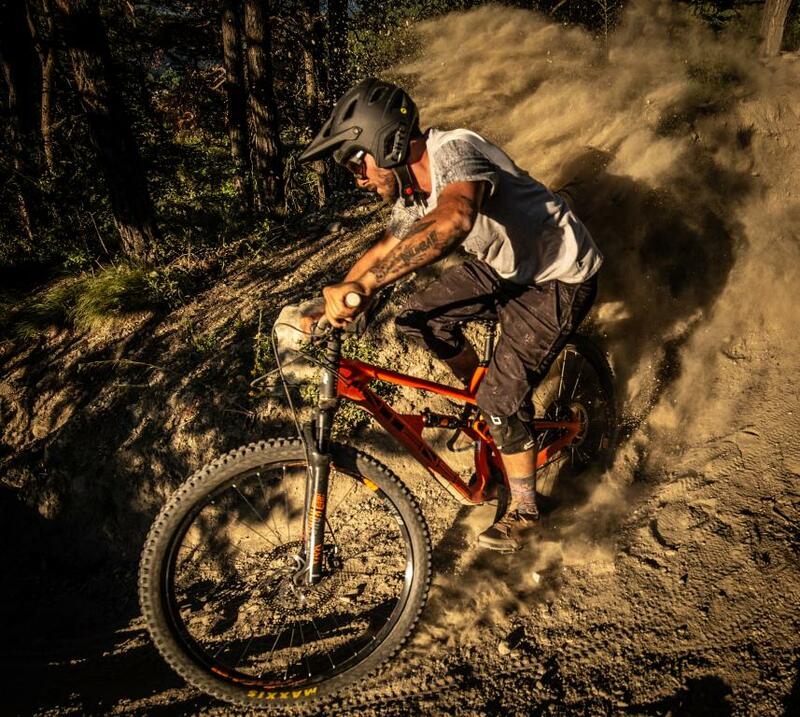 You're in for only 30 - 45 minutes of effort, mountain biking remember! 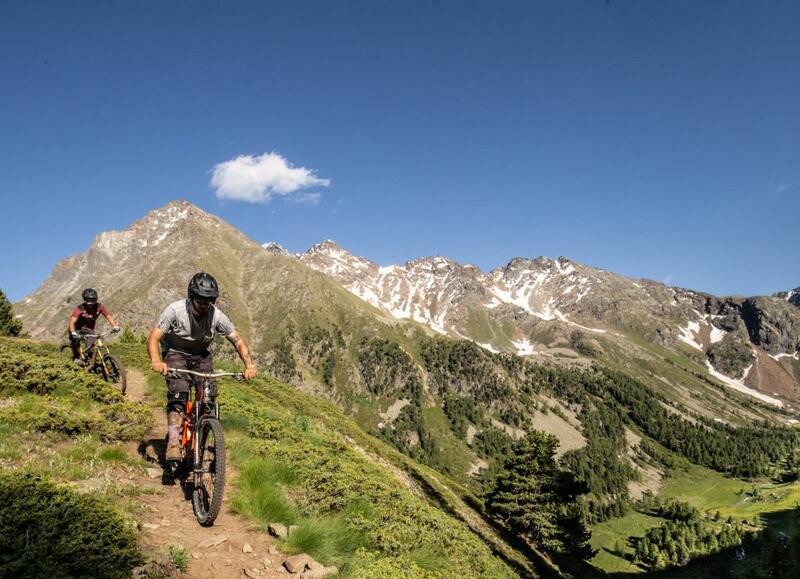 There's an awesome rifugio to reward you, or you can cut off by the lake and take the singletrack along Pila's far left ridge, that is in parts technical, in others flowing, down into Pila Bike Park's mid station. When you start exploring beyond the bike park, a guide is not a bad idea, tink about hitting up the guys at Aosta Valley Freeride up, or get in touch with us and we'll make sure you find the right person for the job!